The Italian fruitcake called panettone is a popular gift during the holidays, so much so that you may find yourself with more panettone than you can eat. Panettone cake truffles are a great way to reinvent your excess panettone into irresistible and beautiful bite-size desserts that are great for parties or for giving as gifts. Panettone cake truffles are easy to make. Crumbled panettone is mixed with frosting and a touch of rum, then rolled into balls and dipped in chocolate or more frosting. They look very nice in small paper cups, and can be decorated with sprinkles, nuts, or shredded coconut. Place cake crumbs in a medium bowl and stir in the rum. Beat the butter until fluffy. Mix in half of the powdered sugar and beat until smooth. Add the almond flavoring, pinch of salt, and 3 tablespoons cream, and gradually add the remaining powdered sugar. Add a little more cream or a little more powdered sugar to get the consistency of a stiff but spreadable frosting. Mix 1/2 of the frosting into to the cake crumbs and stir until well mixed. Roll pieces of the cake crumb mixture into smooth balls in the palm of your hand and place them on a baking sheet. Then balls should be about 1 to 1 1/2 inches in diameter. Place cake balls in freezer for 10-15 minutes. In a microwave-proof bowl, heat half of the chocolate chips in the microwave for 10-15 seconds on low power. Stir and repeat until the chips are melted. Add remaining chocolate chips to melted ones and stir until well mixed, microwaving them for a few seconds more if necessary. Using a fork, dip half of the cake balls in the chocolate one at a time, letting excess chocolate drip back into the bowl before placing truffles on wax paper to cool. 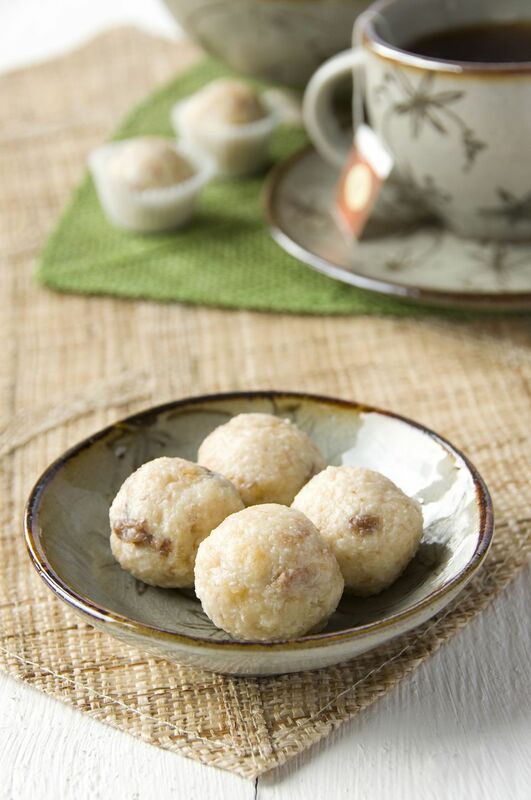 If desired, roll cake truffles in coconut, chopped nuts, or sprinkles before chocolate sets. Heat remaining white frosting in microwave until runny. Dip the second half of cake balls into the white frosting and decorate. Store cake truffles in the refrigerator, but allow them to come to room temperature before serving. Makes 20-30 truffles, depending on size.